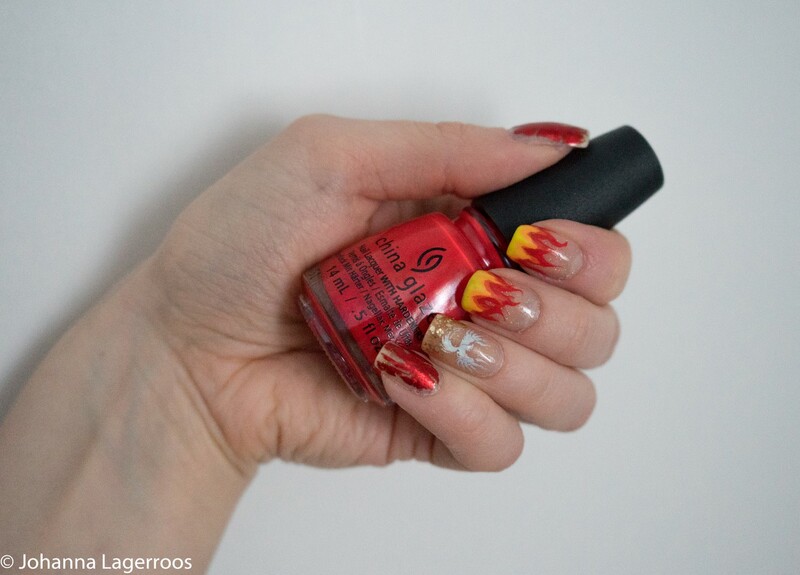 Continuing the challenge I started here, in today's post I'll share another set of mythical nails. I must admit, I haven't used most techniques enough to really make things as pretty as I want to, but I take this challenge as a good excuse to practise more. 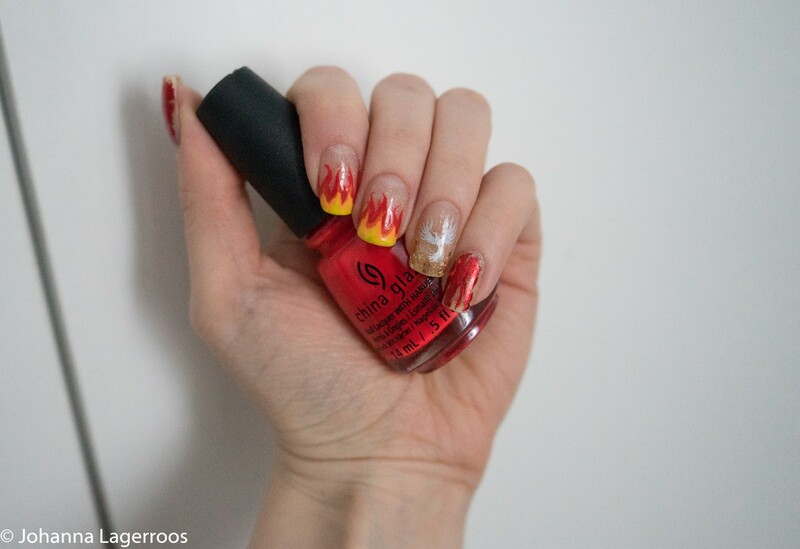 Creating phoenix nails sounded like fun, because I could use colors of the fire and I also had some foils to add into them. I still need to work on taking nail pics on the new camera, but I'm also contemplating on using my old one for these until I get a macro lens. Anyway, I do like how these turned out. The colors were fun, and I also liked how my natural nail shows through the design. I've been seeing many fun minimalistic nail designs and I'm tempted to do those once I'm done with the designs inspired by this challenge. I was pleasantly surprised how the flames came out, as I haven't been free-handing much lately at all. Of course they're not perfect, but I'm still stoked how they looked. 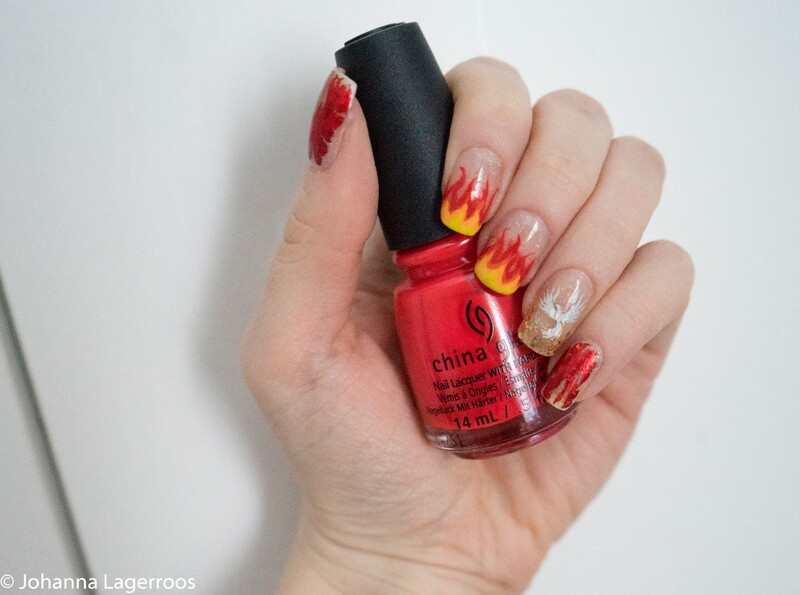 I used a thin nail art brush, and several China Glaze polishes in yellow, orange and red to achieve the look. 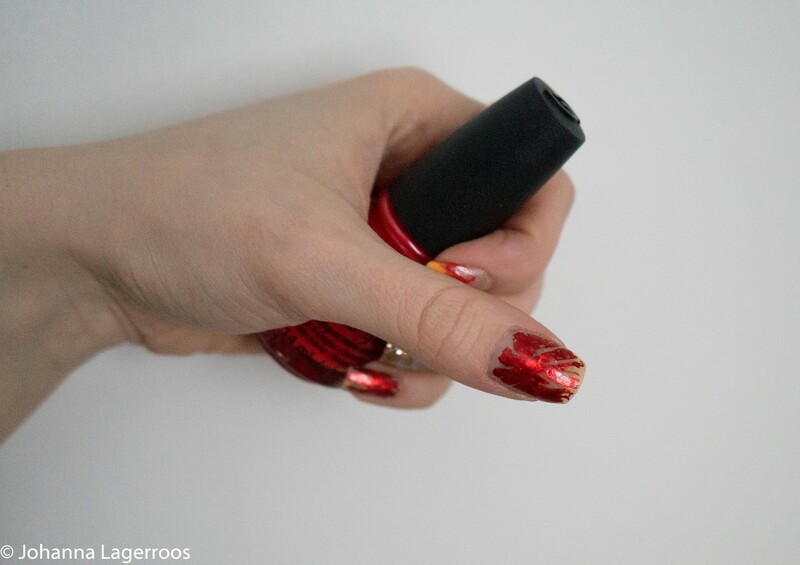 To encourage my new-found love for nail foils, I added this red beauty to my thumbs and pinkies. The foil is from Born Pretty Store, as well as the glue I used to attach it. I think I mentioned this in the previous nail art post, but in case I didn't; foils are such an easy way for even the beginners to create fun nails. Of course foils look better over dark, or at least colorful polish, but since I wanted to keep certain look, I added this over the natural color of my nails. As a base, I used Golden Enchantment by China Glaze. It was cute and slightly glittery, but it still let my nails show through. It's the golden counterpart for the infamous Fairy Dust - which is a staple in my collection as well. 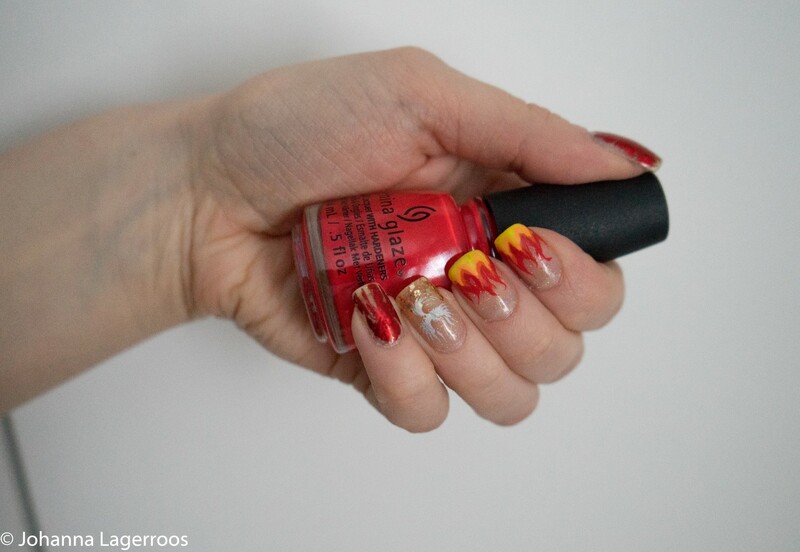 For the phoenix bird's silhouette, I also used foils from Born Pretty Store. And lastly I added some chunkier golden glitter below the bird to kind of make the bird sparkle as it soars to the sky. If you get what I mean. The polish for that was Essie Rock At The Top. What do you think about this design? Let me know in the comments! That's all for today's post, I hope you did enjoy this one and that you got at least a bit inspired by it. I can admit I already failed to photograph one prompt (aquamarine), but I may redo it just for practise and photos on one hand, because I'm also skipping one prompt (ghosts) for the lack of inspiration for it. So the next nail art post you'll see here should be aquamarine inspired, unless I get mixed up and post mermaid inspired one first. So stay tuned for those, and more. Also, if you're missing style posts, follow me on Instagram (@silvertigo) for daily outfits. 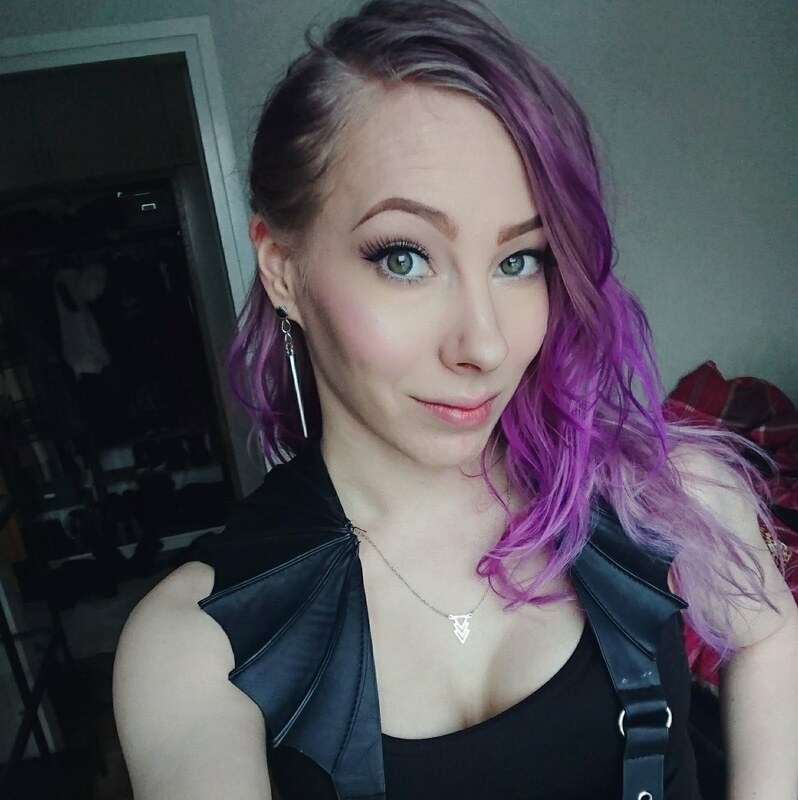 See you in the next post! That design looks so cool! !